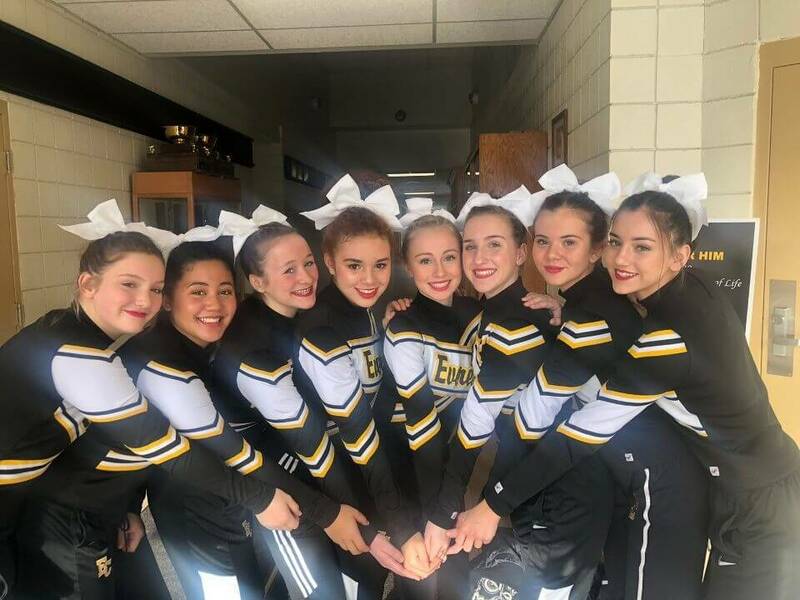 The 2018-19 winter sports season brought the return of competitive cheer to Everest Collegiate High School. The Mountaineers traveled to Marion, Michigan on Wednesday, January 16 to complete in the Marion Cheer Invitational. Nine teams competed in the meet and EC placed third overall with a score of 620.96. Returning head coach Nancy Strach is extremely proud of the team. The squad is comprised of eight girls (seven freshmen and one junior). The team shows great promise with such a performance as all of the members are new to competitive cheer. 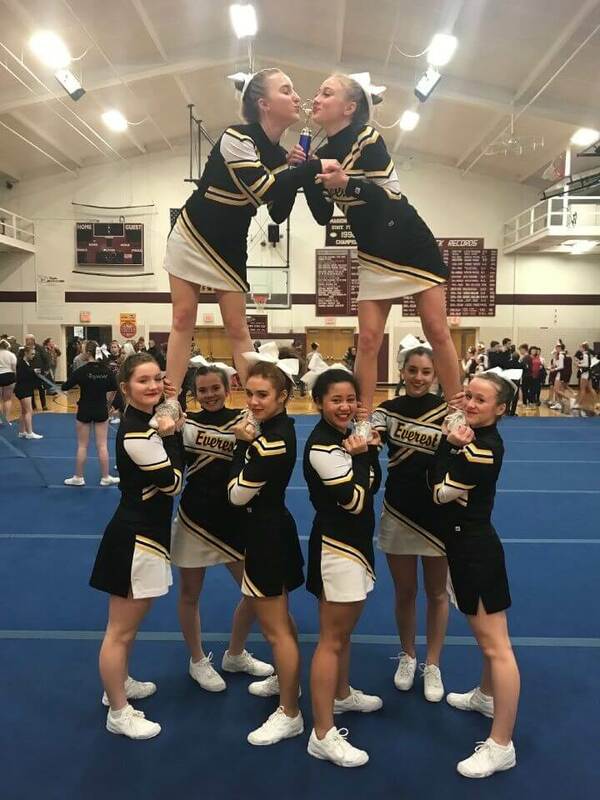 The Mountaineers next competition is the Davison Cheer Invitational, January 19, 2019, followed by the Catholic School League championships on Tuesday, January 22! Go Mountaineers!